A life of rock ‘n’ roll can present its share of challenges: the soaring highs and sunken lows, the destabilization of constant momentum, the thrill of the limelight and the access it brings, the stumbling game of catch-up as the world continues to shift and change in rapid motion. 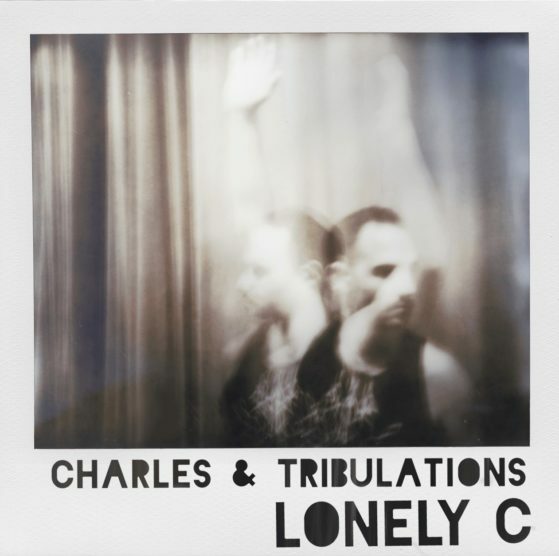 These are the stories Lonely C (aka Charlie from Soul Clap) tackles throughout his debut solo album Charles & Tribulations. His is a body of music born over a 5-year period during which Lonely C has charged forward amid life’s complications. Questions of identity, of love and relationships, of ego, and how to maintain balance and sanity through it all come bubbling to the surface across this primarily self-written, performed and produced album. Lonely C can be heard singing, playing guitar and keys, drum programming and arranging on Charles & Tribulations, while Brooklyn-based keyboard wizard Morgan Wiley of Midnight Magic provided additional production, elevating the original demos into the finished product we hear today. The album also contains features from a host of special guests: Grammy-winner Kendra Foster, known for her work with D’Angelo & The Vanguard as well as Parliament-Funkadelic, sings her heart out on “Hold Up” and “Aint Worried” — the latter also graced by songwriting and trumpet performance from the great Greg Paulus from No Regular Play. On “Folk Be Lyin’”, we get a taste of dance music’s most infamous alien, the tragically departed Sa’D “The Hourchild” Ali. Charles & Tribulations is designed as a more traditional whole package of an album, with moments for the dance floor as well as plenty of more intimate listening experiences. In support of this big debut, Charlie has formed the Lonely C Band, with Morgan Wiley and percussionist/multi-instrumentalist Caito Sanchez, who plan to hit the road in early 2019. Copyright © 2018 Lonely C. All rights reserved. Website built by Natasha Tomchin.